Hi everybody! Today's update is something really useful and fruitful not only for myself but many others out there who are reading this. Not limited to just gym entrepreneurs! Anytime Fitness officiated its newest outlet grand opening at PoMO shopping mall last week and it was amazing that it was graced by the President and Co-Founder of Anytime Fitness himself, Dave Mortensen. He was here in Singapore as part of his Asia tour in celebration of Anytime Fitness’ recent opening of its 3,000th gym worldwide. Three cheers for Anytime Fitness! Ranked #1 on Entrepreneur’s prestigious Franchise 500® list, Anytime Fitness is the fastest-growing gym franchise in the world, with 3,000 gyms serving nearly 3,000,000 members on five continents. Open 24 hours a day, 365 days a year, Anytime Fitness prides itself on providing its members with convenient fitness options and friendly, personal service in well-maintained facilities which feature top-quality exercise equipment. Gyms are now open in all 50 states in the USA, Canada, Mexico, Australia, New Zealand, England, Scotland, Ireland, Grand Cayman, Poland, the Netherlands, Spain, Qatar, India, Chile, Japan, Singapore, Malaysia, Hong Kong, China, Taiwan, Belgium and the Philippines. All franchised gyms are individually owned and operated. This year, Anytime Fitness is one of the best franchise to buy according to Forbes magazine! At Anytime Fitness, you can determine your own workout schedule without restriction as they adhere to your timetable, rather than you having to follow theirs (opening hours). You will also like the fact that their gyms feature all of the equipment, programmes, classes and support you need to achieve your goals! Be it fitness, aesthetics or simply to live a happier life by being part of the gym community. To date, Anytime Fitness is by far the world's largest co-ed health club chain that has achieved another impressive milestone; the opening of its 3000th gym. Recently honoured at number one Top Global Franchise by Entrepreneur Magazine, Anytime Fitness also received these accolades in Singapore in 2015 - Franchising & Licensing Awards' (FLA) Franchise of the Year and the FLA International Franchise of the Year, SME Business of the Year, SME Fastest Growing Business and AsiaOne's People's Choice Award. 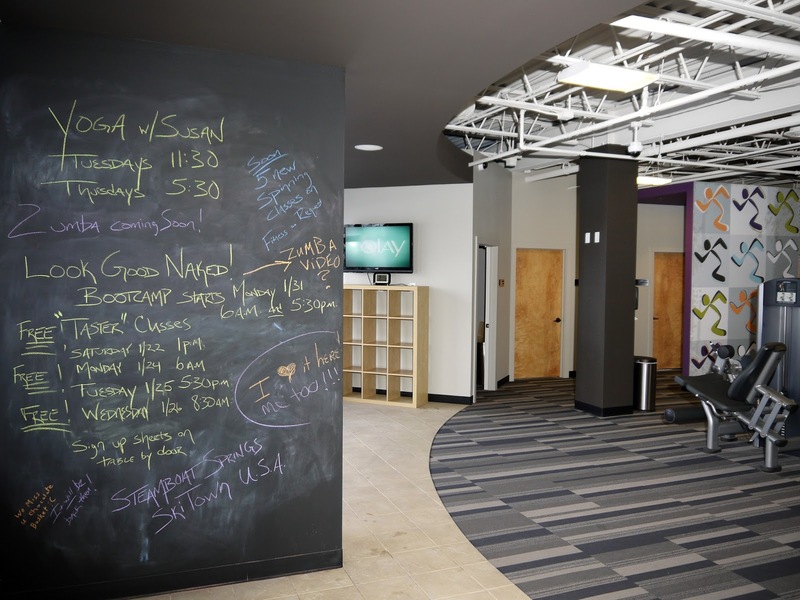 Anytime Fitness gym began in Minnesota, USA in May 2002. The company's founders attribute the rapid growth of the franchise to a focus on convenience, affordability and a friendly, non-intimidating club atmosphere. It is evident in their welcoming chalked up entrance that states workout menu and cute drawings! 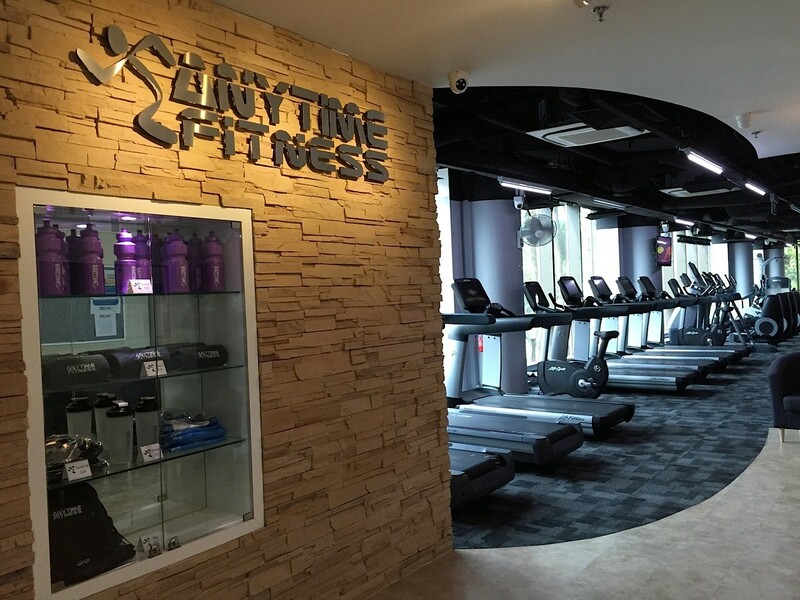 The first Anytime Fitness club in Singapore opened in Woodlands in 2003. 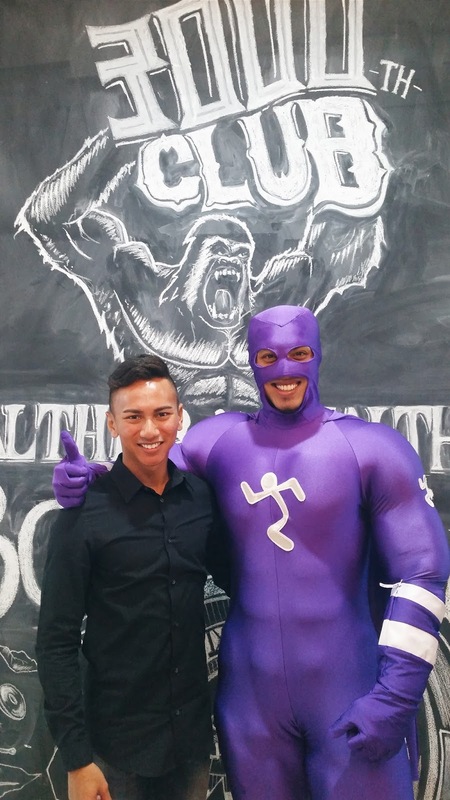 There are now 25 Anytime Fitness clubs in Singapore and the number is expected to reach 35 next year. Look out for new Anytime Fitness club near you! As Anytime Fitness operates 24 hours all year round, you can hit the gym any time you like! 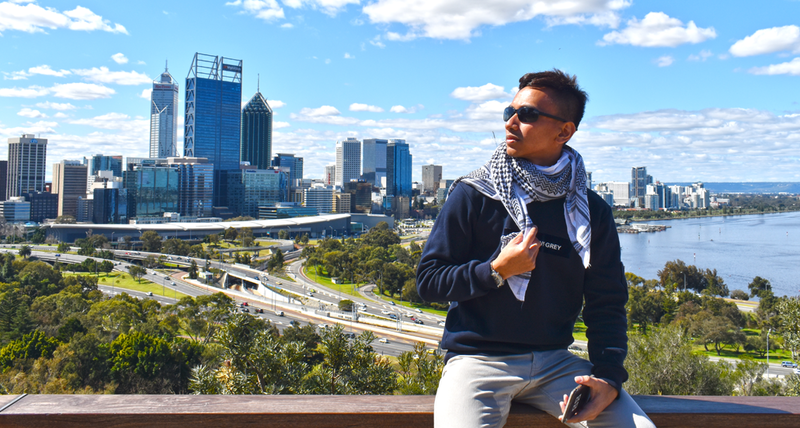 Which is highly convenient especially for those who are working on a tight schedule everyday, or those who work shift and would like to use their free time at night to pump some iron. Anytime Fitness provides an ideal space, rain or shine for one to run on the treadmill to shake off those calories. There are many reasons why people do not exercise regularly and the top reason is time. They are tired by the time they finish work, or if they are free, it's either on a weekend or public holiday where most gyms are closed or open half day. With this model, it breaks down one of the biggest barriers to why people do not go to the gym. 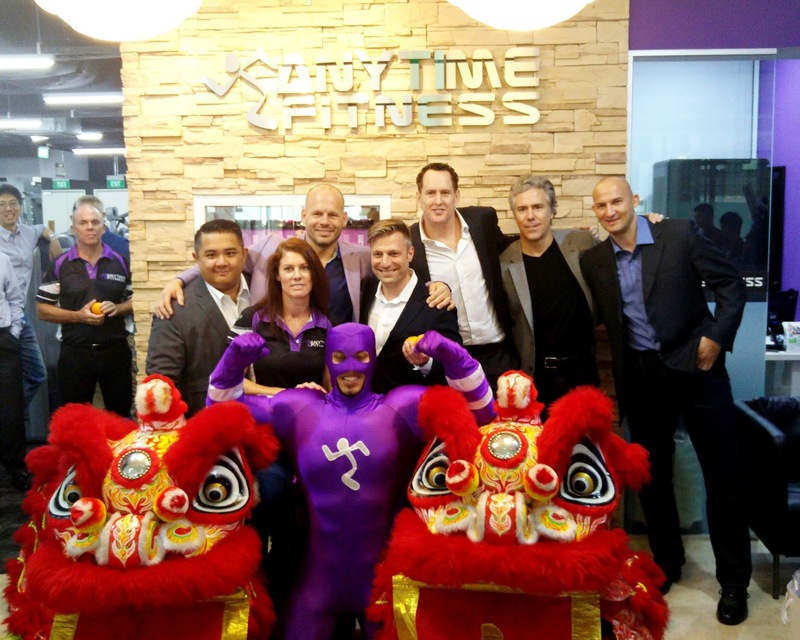 The opening of 3000th Anytime Fitness gym worldwide is a significant milestone, reinforcing their leadership position as the world's largest and fastest-growing co-ed fitness club franchisor. 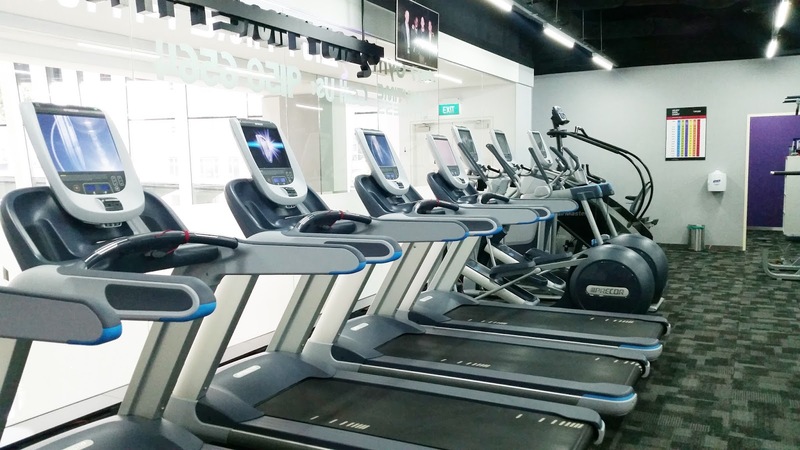 Singapore is a key market that they are focusing, and are looking forward to extend its location strategy to take the gym to the neighbourhoods to give everyone convenience, flexibility, and lower the barriers to a healthier lifestyle. With this expansion, they do not only break down the time barrier to why people do not go to gym, it is serving its purpose by moving closer to your home. You do not have to think about commute, which can be very daunting. Not sure if you have ever heard a joke about how people actually rush to gym, and by the time they're there they got tired of chasing to the gym because they want to get there before it's closed! By moving closer to the heartland, you can can get to the gym relaxed and spend your energy focusing on your fitness goal! What's value added is that members are able to rely on Anytime Fitness' personal trainers for nutritional and fitness information too! At the opening, Dave Mortensen, President and Co-Founder of Anytime Fitness shared several insights in running Anytime Fitness. With more than 25 years of experience managing, consulting, owning and franchising health clubs, Dave has distinguished himself as a leading authority in the field of fitness. He revolutionized the fitness industry when he and Chuck Runyon co-founded Anytime Fitness – an alternative to big-box gyms. In contrast, they designed smaller, neighborhood clubs featuring the things members want most: convenience, affordability, quality equipment and surprisingly personable service in friendly, non-intimidating facilities. Under Dave's leadership, Anytime Fitness has earned numerous industry accolades, including “One of America’s Most Promising Companies,” “Top Global Franchise” and “Fastest- Growing Fitness Club.” Additionally, Anytime Fitness has been honored as a “Military Friendly Franchise,” a “Top Franchise for Minorities” and “The Best Place to Work in Minnesota” four years in a row. I am deeply honoured to be able to rub shoulders with Dave and pick his brain a little bit. It is undeniable that even large companies like Anytime Fitness face challenges like sustainability and competition. It is a wonder that till today, we have never, or rarely heard about 24 hour gym chains but why are other gyms not exemplifying this great idea? According to him, running a 24 hour gym incurs cost in so many ways like staffing, maintenance, and most paramount, security. They have to ensure that there's enough staff to work through its peak hours and that they are not overstaffed during their non-peak period. They also have to invest in security and safety - for example, they have invested in a wireless panic button to alarm someone immediately in case of emergency. Such heavy investments could be one of the deterrents to why they are not exemplifying this idea. Anytime Fitness also have never endorsed a celebrity for its brand, allowing finances to be channeled into the welfare of consumers and allowing the gym to run 24 hours. From Anytime Fitness business perspective, endorsing a celebrity incurs unnecessary cost that is indirectly cushioned by the consumers themselves. To keep the business sustainable, Anytime Fitness is known for its frugality in its gym sizing too. Their gyms are intimately sized to cater to community within the area, ensuring comfort for everybody to use the gym. He also mentioned the four things that any business should embody to ensure sustainability and survival - people, purpose, profit and play. A business should focus on satiating people's need be it consumers or internal customers, with the purpose of helping people to achieve their goals - in this case we are in the topic of getting fit and health while ensuring that it is profitable for the business. Most importantly he said, one must always play by enjoying what they do. If you are undecided on which gym to subscribe, remember Anytime Fitness, any time! To find out more about Anytime Fitness' free trial pass, location and franchise information, log on to www.anytimefitness.sg.